Climbing the “Claytons” Family Tree – Run. Ride. Roam. What a spectacular morning – crisp, clear, crisp, blue sky, crisp, did I mention CRISP!? Another very cold one, but gorgeous. 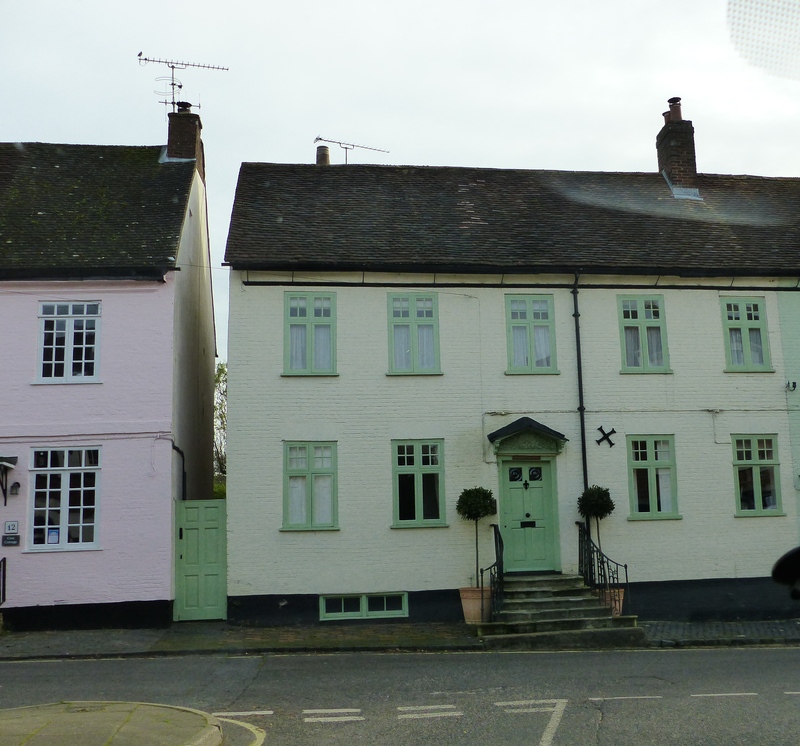 After seeing Wickham in the dark yesterday, we took off to see this little village in daylight and for Steve to do some shimmying up the family tree, well not quite, but almost. 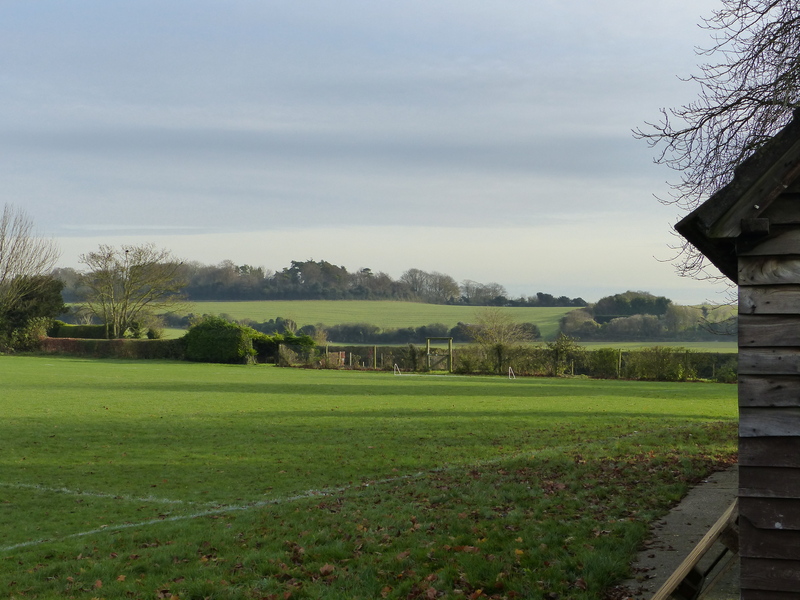 We’re staying another night in Southampton, so we set off for a day trip around the countryside. The maternal side of Steve’s family are Wickhams, so it was very fitting that we should visit the little village that bore his mum’s name. 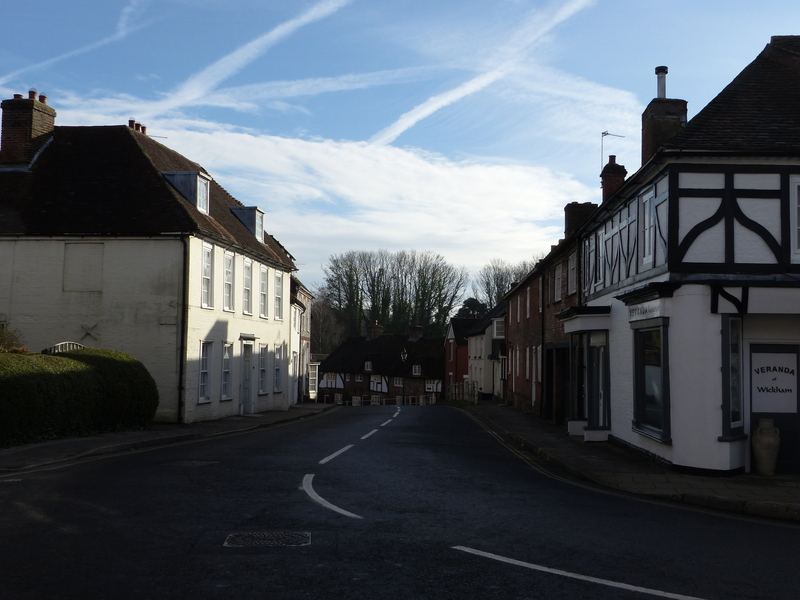 We strolled along the quaint streets, lined with little shops that included a village sweet shop and a village bakery. 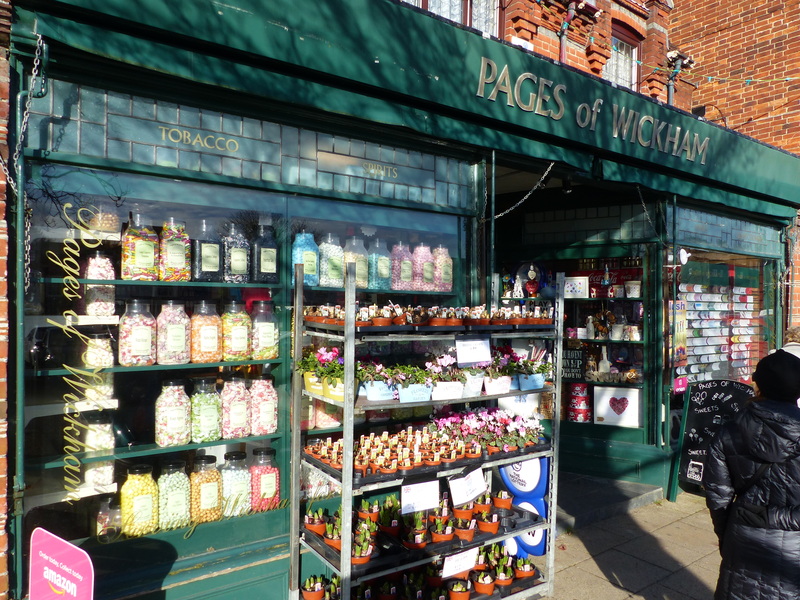 How utterly delightful – village sweets and village bakery, how perfectly English. Not only that, as we strolled around, there were Christmas carols playing. It was all so lovely. I’ve never had a winter Christmas before, so experiencing a little of what may be ahead of us in a month’s time, was already a little magical. After a pleasant stroll, we consulted the map to decide where to head next on our day’s outing. 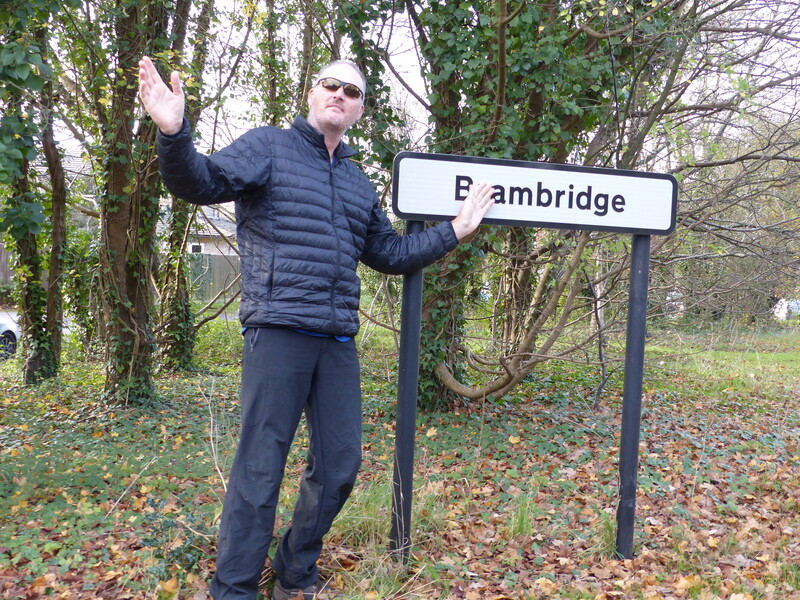 That’s where we saw the other branch of Steve’s not-quite family tree…the village of Brambridge! Well, that’s almost Bambridge, so a connection that’s close enough and worth a visit for sure! On the way we called into Bishop’s Waltham, mainly because it had one of those gorgeous English names. 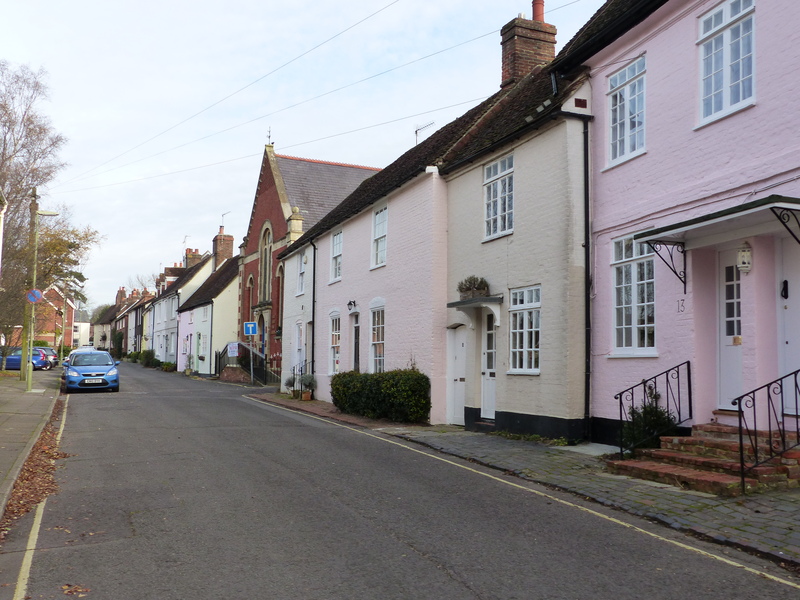 It was another lovely little town, with cute cottages and narrow town streets. 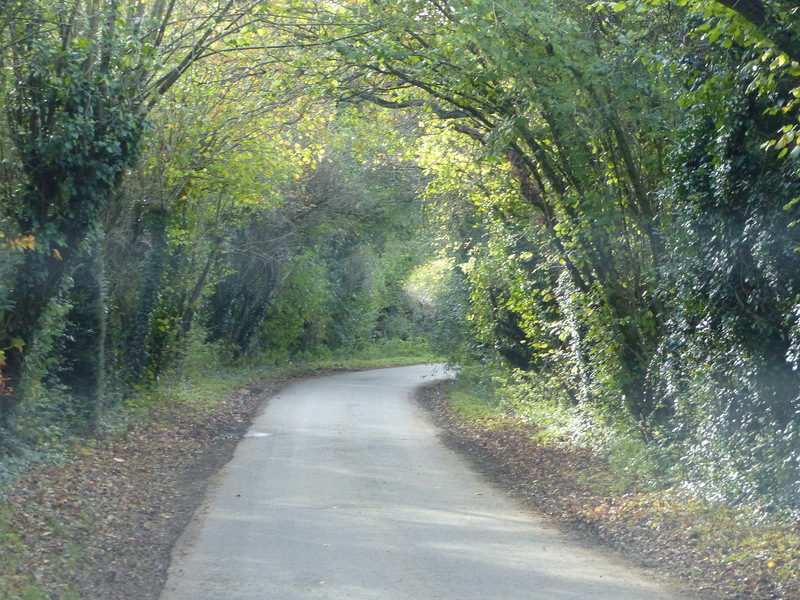 On we went, along the narrow country lanes lined with hedgerows, just like the ones I loved riding along so much and through tunnels of trees. We went down a 14% gradient hill and we both uttered a “Pah!” we rode up steeper than that! That’s nothing! I also commented that I’d actually rather ride up steep hills, than ride down them. Up is hard, but down is scary, so I’d always rather tackle the uphill rather than cross my fingers that the brakes will hold on the downward ride. Of course Steve disagreed – the thrill of the downhill ride is one of his joys! Steve just becomes the speed machine, letting rip from the top of the hill, hunch shouldered and head down, flying full tilt, with no braking at all! His adrenalin ride! We pulled into a spot under trees and beside a playing field to have a bite to eat. 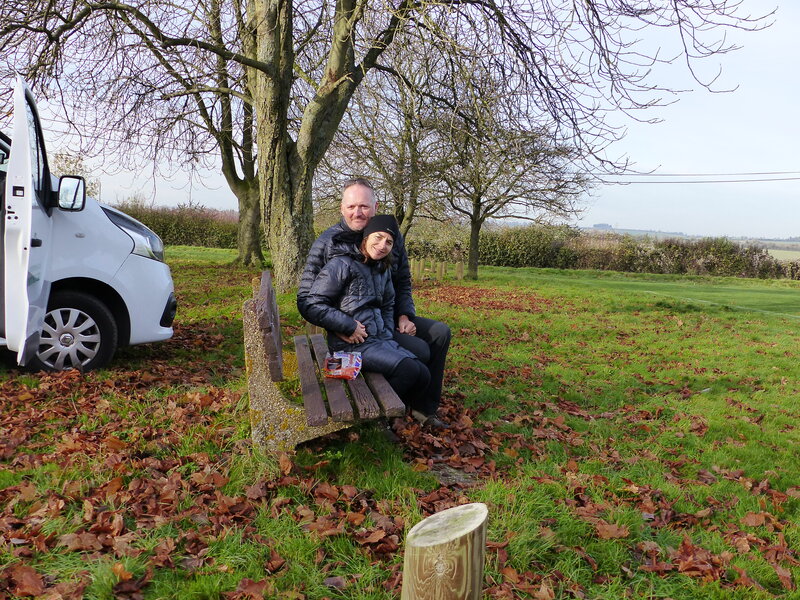 It was a lovely spot, looking out over the fields and hills and sitting under the trees with the leaves crunching underfoot. I am now going to unveil the latest of our rituals, which will here on replace the tradition of “elevenses”. We have always stopped for elevenses and this has been a fairly regular inclusion in the daily blog posts, however with our mode of transport changing, this daily morning stop may not be quite so regular. With less exercise, we won’t need to stop for our elevenses snack and we’ve found that we don’t even really stop for lunch regularly, lately having something to eat around two or three o’clock. So…the new daily ritual will be “arvos”! (Arvo being short for afternoon, I’m not sure if that’s universal slang or just Australian). So, if we do end up stopping for elevenses, we’ll continue to record this favourite ritual, however if we don’t and we find ourselves stopping for a late lunch, which might merge into an afternoon snack, just depending on our travels and time of day, we will instead stop for “arvos”, since we’ll be stopping at some time in the afternoon, for some sort of snack or lunch time food. So, to begin this new week, and having missed elevenses, we marked our first, inaugural, maiden pause for “arvos”! 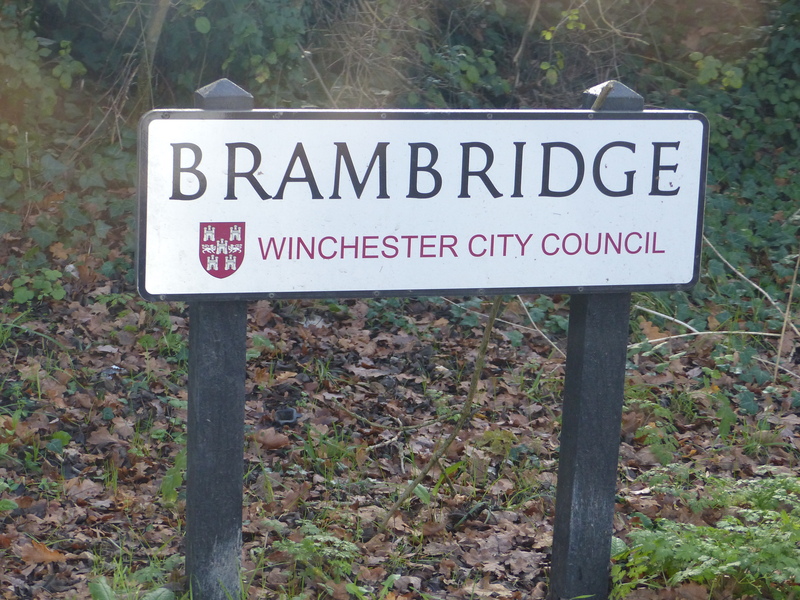 The sign came into view and there was the little hamlet of Brambride, which Steve set about rectifying the spelling of, to give it a more accurate place on the branches of the Big Fella’s family tree. He abandoned the “Emperor’s point” but still maintained his regal, Emperor’s pose, just to let that little village know it almost had the same name as someone of his supreme level of greatness. What a lovely day, utterly lovely. The countryside, the villages, the lanes and hedgerows, the fields and towns, the peaceful surroundings…magic. I’m going to say it again…wait for it…sorry to do this again…I know it’s becoming monotonous, but I just have to…I love it! I just love it here. I loved our travels through this area the first time we visited and fell in love with England and the South West in particular. Here I am falling in love all over again. It’s beautiful, it’s charming, it’s pretty and gorgeous and it makes me smile and grin and I get that warm glow that settles inside. How lucky am I to be here again and seeing this beautiful country. Just try and wipe the smile off my face, that smile that’s fixed in place and has written all over it, the words…”I love it!”.